DevTeam released redsn0w 0.9.4. The updated utility is able to jailbreak the newest firmware 3.1.3. There is no unlock for firmware 3.1.3, so be careful. 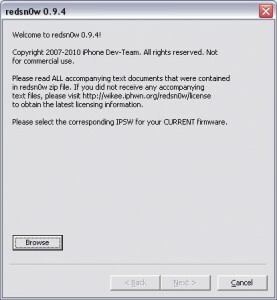 Redsn0w 0.9.4 doesn't support iPhone 3GS, iPod Touch 3G and new versions of iPod Touch 2G. You can download redsn0w 0.9.4 here.